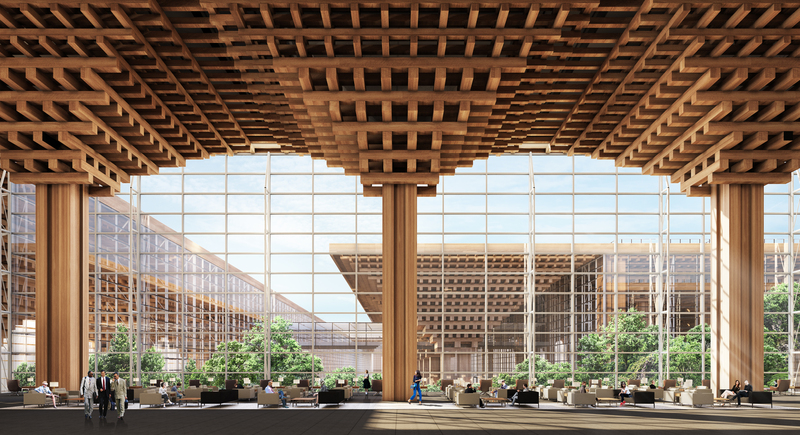 Architect Duangrit Bunnag, principal of DBALP Consortium, has been accused of plagiarizing the work of Japanese architect Kengo Kuma for his competition-winning design for an airport terminal in Bangkok, Thailand. DBALP Consortium was declared the winner of an international competition to design Suvarnabhumi Airport Terminal 2 last week, following the disqualification of the original winner, SA Group, for failing to submit required bidding documents. Shortly after the announcement, social media commenters began noting striking similarities between DBALP’s proposal and Kengo Kuma’s Wooden Bridge Museum in Yusuhara, Japan, both of which feature tree-like canopies of stacked timber. Others argued that this style of wooden structure was not originated by Kuma but instead derives from traditional Asian building techniques, citing architect He Jingtang’s China Pavilion, built in 2010, and architect Tadao Ando’s Japan Pavilion, built in 1992, as examples of similar constructions. 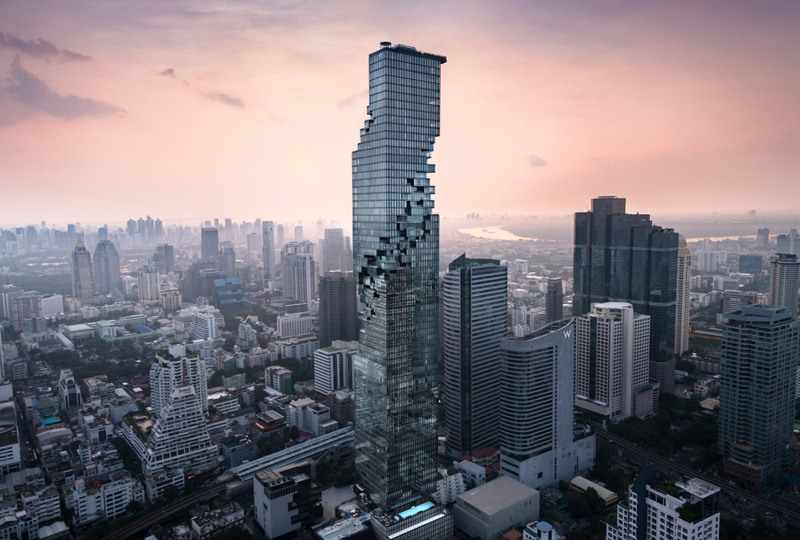 In an interview with The Standard, Bunnag flatly denied the accusations, maintaining that his design was inspired by the forests of Thailand. "I didn't copy anyone else's work. Those who follow my work will know that I created a similar image in my previous designs, such as for a hotel in Sri Lanka," he said. 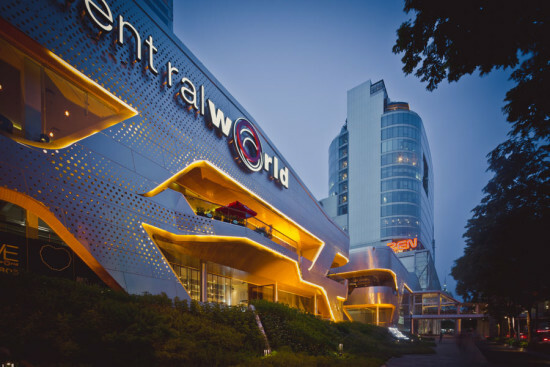 The Architect Council of Thailand (ACT) has advised those affected by the alleged plagiarism to file a complaint with their office, which will trigger an official investigation into the matter. "If this case is proven to be plagiarism, the architect's license will be suspended, while his winning design will be declared invalid," said Thanit Kittiampon, ACT president, at a press conference. Kengo Kuma has not yet commented on the claims that his work was copied. If DBALP’s proposal goes uncontested, the construction of the 348,000-square-meter terminal will begin in 2019 and is scheduled to be completed within 30 months. It is estimated that more than 30 million passengers will arrive and depart below its undulant timber ceilings annually.